Killer Orange Amplifier Tone -- To Go! The Orange TH30C combo amplifier packs a lot of punch for its size. Four ECC83/12AX7 preamp tubes, four XEL84 power output tubes, and one ECC81/12AT7 tube for your effects loop fire up two channels -- clean and dirty -- of bright and biting tone through your 12" speaker. You have three settings of 30, 15, or 7 watts of power to choose from to fit the size of the room you're playing in. Each wattage setting will fire up your tubes with a slightly different color and sound -- giving you more tonal versatility and flexibility. This amp comes with three speaker outputs, but you won't need to drag a heavy cab around on tour anymore because your gig-ready TH30C combo packs a serious load of decibels. Orange amps have made a permanent residency in a wide range of rock genres since the '60s. Any serious musician knows of that sought-after crunch that bites and cuts through the air. Your two channels of clean and dirty tones deliver as promised when you pump your signal through your ECC83 and EL84 tubes. Treble, bass, and volume controls for your clean channel allow you to hone in on your sound, and shape and gain controls give you more freedom for adjusting your dirty channel. 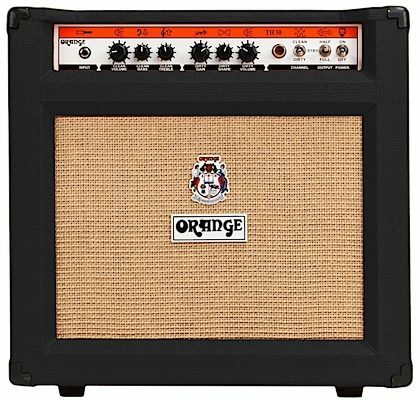 Your Orange TH30C combo amp's compact size makes it a great piece of equipment for the touring musician. Pumping 30 watts through your tubes is likely enough to get you the volume you're looking for, but if you do want to add another speaker to your chain, your TH30C comes with three speaker outs to give you that option. The option to set your wattage level is a key feature of the TH30C combo amp. If you want to practice in a quiet setting, you can set your power level to 7 watts to lower your output but still get a warm and colorful tube tone. 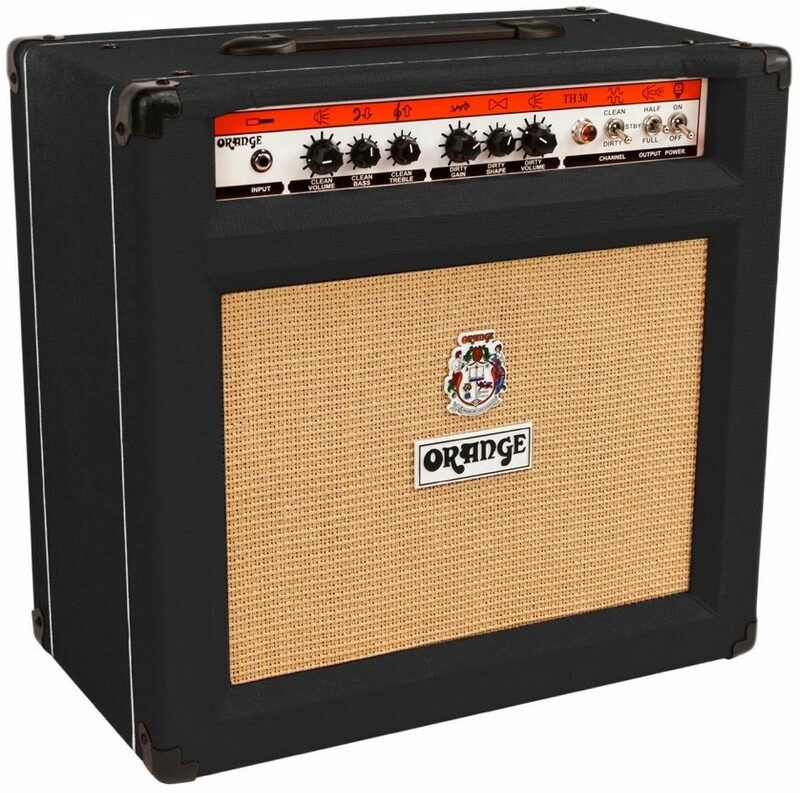 Experiment with your 15-watt and 30-watt settings to see how more push changes your sound's shape and timbre. Your TH30C's 12" speaker will continually deliver a clear and crisp projection with every strum. 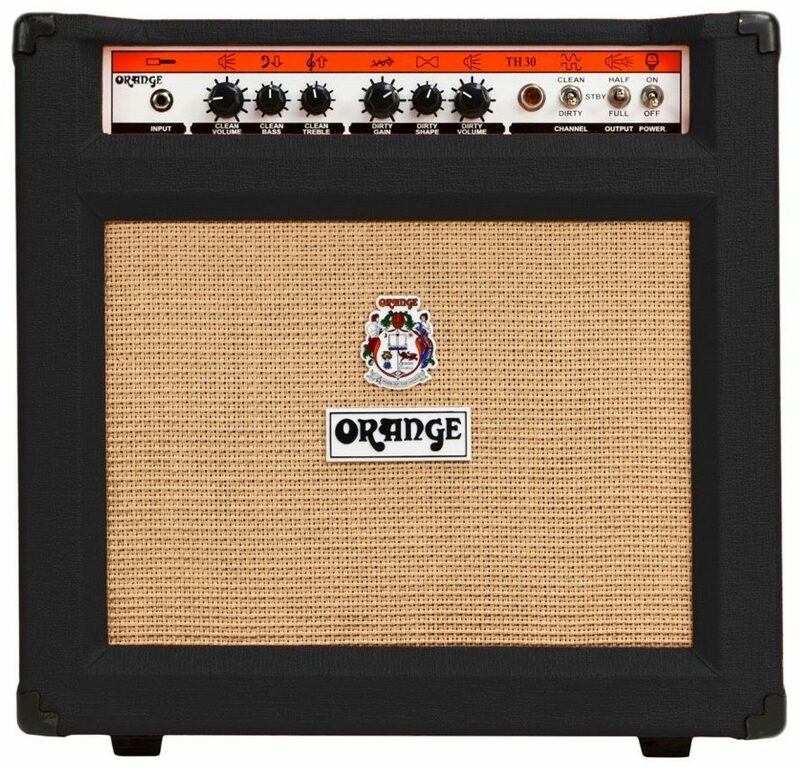 The Orange TH30C Guitar Amplifier Combo offers the perfect balance between power and portability and is ideal for regular gigging. It's small and light enough to be portable while also offering a phenomenal tonal range for use in the studio environment. Overall: This little amp is is not so little. It packs a ton of tone, very easy to dial it in, and your done. Yeah it's pricy but the flexibility of this amp is what brings the value to me, being able to do a full blown outside stage gig to the smallest stages in bars or clubs, it's perfect for any gigging guitarist from blues to metal, especially with the ability to drive a couple of cabinets. Yeah it should have a reverb at this cost, but what guitarist doesnt have a reverb pedal to run through the amazing tube driven fx loop?the dirty channel is sick, clean channel is not a fender.....but its good, just not fender good. I've bought it, it's my main amp now, and zzounds couldn't have made easier. Overall: I should start by saying this isn't my only amplifier. If it were, I probably wouldn't mark it as high as it lacks a few features that I like (reverb and a line in port for MP3) but seeing as how my Marshall MG30 has these features, I'm can easily look over this in the TH30C.That said, the TH30C blows away all amps I've played on. It has rich tone on the clean channel and good crunch on the dirty channel. One feature I LOVE is the ability to switch from 30 watt to 15 watt to 7 watt. This makes this amp perfect wherever its played -whether its on a stage or, in my case, in a bedroom.And who can dismiss the 'wow' factor? Walking into a room and seeing this beauty? That's wow! While expensive, and lacking features often found on much cheaper amps, this is still a very, very, fine amplifier. I would buy this again in a heartbeat.